If you have migraines, you know that migraine is more than “just a headache.” There a lot of other disabling symptoms besides head pain that can occur during a migraine episode. In addition, having migraine puts you at higher risk for developing a variety of other health conditions, call co-morbid illness. A co-morbid illness is one that occurs more commonly with migraine than you might expect by chance alone. Health problem that are co-morbid with migraine include a wide range of conditions, such as anxiety disorders, allergies, and epilepsy. Migraine has also been linked with an increased risk for other chronic pain conditions, like fibromyalgia. Fibromyalgia is a chronic condition that can include widespread aches and pains, fatigue, insomnia, bowel problems, problems with memory and concentration, and mood problems. Fibromyalgia can occur in all age groups, but the average age when symptoms most commonly begin is around 45 years old. Women are affected with fibromyalgia about three times more often than men. Like migraine, fibromyalgia symptom flares can be unpredictable and disabling. Fibromyalgia is diagnosed after a careful evaluation by your doctor to make certain the pain and other problems are not being caused by another health condition. 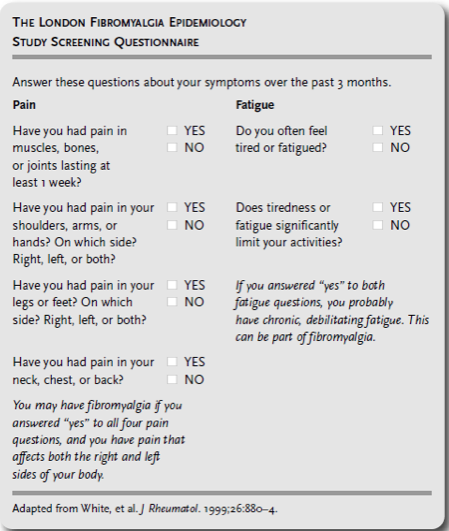 There are also simple screening tools, like the London Fibromyalgia Epidemiology Study Screener, that can be used to help identify if you might have fibromyalgia. None of these tools, however, can replace your doctor’s examination. Reprinted from Marcus & Deodhar, The Woman’s Fibromyalgia Toolkit, 2012, Diamedica Publishing. How is fibromyalgia linked with migraine? Fibromyalgia occurs in about 5 in every 100 people in general. Half of those people with fibromyalgia also have migraines. Two in five women with fibromyalgia have trouble doing household chores because of fibromyalgia and one in three has trouble carrying a bag of groceries. In one survey, 47 percent of people had lost a job because of fibromyalgia with only 14 percent of people having lost a job because of another health problem. Fibromyalgia can also disrupt relationships with your family and friends and result in social isolation. If you have widespread pain and other symptoms that might be caused by fibromyalgia, be sure to see your doctor. Sometimes these symptoms are caused by conditions that might be fairly easy to correct, like a thyroid hormone imbalance. 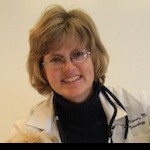 If you do have fibromyalgia, there are a variety of effective non-drug and drug treatments your doctor can prescribe. If you have migraine and fibromyalgia, you may not get effective migraine relief without also addressing your fibromyalgia symptoms. Through the University of Pittsburgh, we’re conducting an online survey research study to more carefully investigate important effects of fibromyalgia on relationships with partners, family members, and close friends. We want to learn more about your fibromyalgia. By spending a few minutes on our survey, you will help us learn more information about fibromyalgia that can benefit people with fibromyalgia and healthcare professionals. This survey is completely anonymous. Your responses cannot be matched to any personal information or identifiers. The survey consists of up to 40 multiple-choice questions and should take approximately 25 minutes to complete. Thank you for your participation! This is a very informative site. I like Kimberly appreciate the fact that there are others out there that understand what we go through even though on the surface we look fine. This site is always so informative and makes me feel like there really are other people out there like me that understand how and what I feel and go through on almost a daily basis. Nice to know that I am not alone. Thank you for all you do and the hope you give us that someone, some where really cares. Thanks for the kind words, Kimberly. We’re so happy to hear the information/community has been helpful!